Renee Fleming headed to Williamstown this summer. 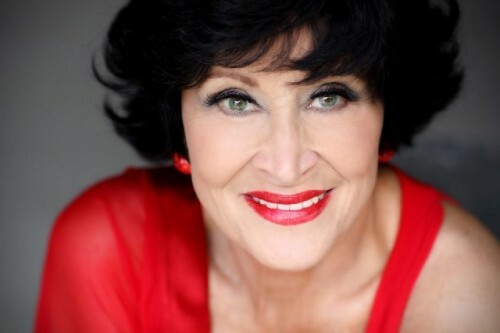 Chita Rivera will appear in a musical. Williamstown Theatre Festival has announced casting for their Main Stage productions, along with a several special events for their 2014 Summer Season. On the Main Stage: Festival veterans including Nate Corddry, Holley Fain, Christopher Fitzgerald and Nancy Opel join the cast of June Moon, directed by Jessica Stone (July 2- 13); Justin Long returns to Williamstown, joining Renee Fleming in the World Premiere of Living on Love (July 16 - 26), and theater veterans Judy Kuhn, Howard McGillin, festival favorite Roger Rees, and more join Chita Rivera in the John Doyle-directed production of The Visit, with choreography by Graciela Daniele (July 31 - August 17). In addition to the line-up of Main Stage and Nikos Stage productions, the 60th season will also include Just Call Me Nikos (July 7), a star-studded tribute to one-time WTF artistic director Nikos Psacharopoulos (featuring Festival veterans like Dylan Baker, Kate Burton, Olympia Dukakis and more); an evening of comedy with Lewis Black (July 21), and the outdoor Free Theatre production of Robin Hood directed by Festival alum Stella Powell-Jones. As previously announced, WTF's Main Stage Season will include a revival of Ring Lardner and George S. Kaufman’s June Moon, directed by WTF favorite Jessica Stone (July 2-13); the World Premiere of Living on Love by Tony® Award winner Joe DiPietro and Garson Kanin (based on Kanin’s play Peccadillo), with celebrated soprano Renée Fleming in her Festival debut, directed by Tony® Award winner Kathleen Marshall (July 16 - 26), and the highly anticipated revival of Kander and Ebb's The Visit, featuring Tony® Award winner Chita Rivera, directed by Tony® Award winner John Doyle (July 31 - August 17). The Nikos Stage season kicks off on July 9th with the East Coast premiere of Samuel D. Hunter's acclaimed play A Great Wilderness (July 9 - 20)directed by Eric Ting and also includes a revival of Sam Shepard's Fool For Love, directed by Daniel Aukin with Lauren Ambrose (making her Festival debut) and Chris Pine (returning to Williamstown after 12 years), playing July 24 - August 2. The Nikos Stage season ends with the anticipated return of the PigPen Theatre Co.'s celebrated production of The Old Man and the Old Moon (August 6 - 17). Earnest and gullible young lyricist Fred Stevens boards a train in Schenectady bound for the Big Apple, determined to make a name for himself in the thriving Tin Pan Alley scene. However, the life he’s imagined is rife with seductive distractions -- namely dames -- that threaten to derail his dream of penning the next big ditty. Both bitterly funny and deliciously literate, legendary humorists Ring Lardner and George S. Kaufman celebrate and skewer the perishable pop of yesteryear. Director Jessica Stone, whose WTF productions of A Funny Thing Happened on the Way to the Forum and Last of the Red Hot Lovers left audiences convulsed with laughter, brings her special brand of glee back to the Festival stage. The cast of June Moon includes Nate Corddry ('Fred'), Holley Fain ('Eileen'), Christopher Fitzgerald ('Benny Fox'), Kate MacCluggage ('Lucille'), Nancy Opel ('Goldie') and David Turner ('Maxie'). World-renowned soprano Renée Fleming takes the Festival stage as celebrated diva Rachel De Angelis. When her husband, the fiery and egomaniacal Maestro Vito DeAngelis, becomes enamored with the lovely young lady hired to ghostwrite his long-delayed autobiography, Rachel retaliates by hiring her very own – and very handsome – ghostwriter to chronicle her life as an opera star. As the young writers try to keep themselves out of the story while churning out chapters, the high-energy – and high-maintenance – power duet threatens to fall out of tune for good. A sparkling new comedy from two-time Tony Award winner Joe DiPietro, adapted from a work by the revered Garson Kanin and directed by three-time Tony Award winner Kathleen Marshall. Blake Hammond ('Bruce'), Justin Long ('Robert Samson'), and Scott Robertson ('Eric') will all join Ms. Fleming in the World Premiere of Living on Love. In addition to Ms. Rivera, the cast of The Visit will include Matthew Deming ('Lewis Perch'), David Garrison ('Peter Dummermut'), Judy Kuhn ('Matilde'), Howard McGillin ('Frederich Kuhn') Nancy Opel ('Annie Dummermut') and Roger Rees ('Anton'). For over three decades, Nikos Psacharopoulos was Williamstown’s colorful and intrepid artistic director, guiding it from local summer playhouse to internationally renowned festival. In his honor, longtime colleagues of Nikos will reunite on the Main Stage to share stories and personal memories. Join Dylan Baker, Kate Burton, Olympia Dukakis, Tom Fontana, Laurie Kennedy, Steve Lawson, James Naughton, and moderator Joe Donahue at this not-to-be-missed event celebrating the unique legacy of a theatrical dynamo. A limited number of $100 tickets include a post-performance reception with Lewis and other Festival artists. All proceeds from this performance will support the Festival's signature training and professional development programs. While this world of ours is no picnic, Williamstown's favorite (adopted) son, Lewis Black, always manages to make a meal of it. From his standing-room-only Broadway runs to his eighteen seasons on "The Daily Show," this Grammy Award-winning comedian makes our collective indignation not only delicious, but hilarious. And while he’s made countless fans around the globe, his WTF shows are legendary - something about the fresh air really gets him riled up. Don’t miss it. A limited number of $100 tickets include a post-performance reception with Lewis and other Festival artists. All proceeds from this performance will support the Festival's signature training and professional development programs. Dashing outlaw. Expert archer. Cunning wealth redistributor. Merry Man. The daring deeds of Robin Hood come alive in this fresh, funny adaptation of the traditional ballads and folklore. Brimming with spirited swordplay and tongue-in-cheek humor, it celebrates the well-known tale of Robin, Maid Marian, Little John, Friar Tuck, and the rest, while cleverly reinventing the myth. The Williamstown woods are magically transformed into Sherwood Forest as sought-after director Stella Powell-Jones enlivens this legendary swashbuckling adventure on the outdoor Free Theatre stage. Bring the whole family and a picnic for a merry evening under the stars! The stars shine at night as WTF's celebrated Late-Night Cabaret Series returns in 2014! Festival family, both established and emerging, sing, dance, and surprise you in these intimate and unforgettable evenings. Cabarets are held in Goodrich Hall, just a few blocks from the Main and Nikos Stages. WTF donors receive first access to these limited seating events. Advance orders for single tickets for the 2014 Williamstown Theatre Festival season may be placed through the WTF website (www.wtfestival.org) and by mail using WTF's season brochure (call 413-597-3400 to join the mailing list). All advance ticket orders will be processed in late May. At that time, ticket orders from Festival donors will be given priority and will be filled by descending donor level. All other advance ticket orders received by May 23, 2014 will be filled in order of date received. The Williamstown Theatre Festival Box Office will open on June 3rd, 2014 at which point tickets may be purchased online, by phone at 413-597-3400, or in person at the '62 Center for Theatre and Dance Box Office at 1000 Main St (Route 2), Williamstown, MA 02167. The Festival's Nikos Stage is an intimate 173-seat venue that regularly sells out in advance from within the pool of Festival donors. For more information on the benefits of becoming a WTF donor, visit www.wtfestival.org.